Learn the new features and functionalities in TURBOdesign Suite v6.7 to fasten the turbomachinery design and optimization process while achieving higher performances. Discover how a combination of fast meanline design and analysis along with robust 3D blade geometry modelling can streamline your turbomachinery development process. See how TURBOdesign Suite can seamlessly integrate with different CAE environments - Geometries exported with the new export procedure implemented in TURBOdesign1 are available to TURBOdesign Link for both ANSYS Workbench and STAR-CCM+. LIVE demo on the design of a turbocharger centrifugal compressor stage. The version 6.7 update to TURBOdesign Suite provides significant new features and functionality to enable designers to improve efficiency, achieve higher performance and deliver faster designs to achieve and maintain market-leading products. This webinar will highlight the new TURBOdesign functionality, including a new Axial Pump and Fan module in TD Pre and the 3D blade geometry export capability to improve leading and trailing edge results for seamless linking and integration with common CAE/CFD/FEA toolsets. • New modules in TURBOdesign Pre for the meanline design of axial fans and pumps stages. 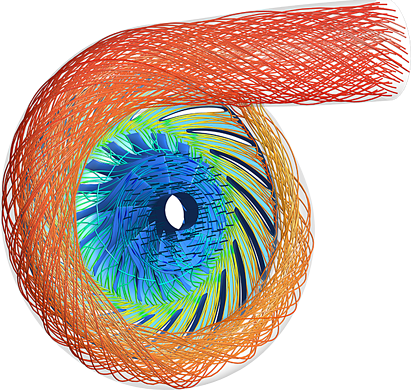 • Addition of radial inflow turbine map prediction capabilities in TURBOdesign Pre. • Script version of TURBOdesign Pre for automated exploration of the design space in generating meanline design to cover multiple operating points. • A new blade geometry construction system that allows for high definition and more robust modelling of all blades. Mehrdad Zangeneh is founder and managing director of Advanced Design Technology and Professor of Thermofluids at University College London. 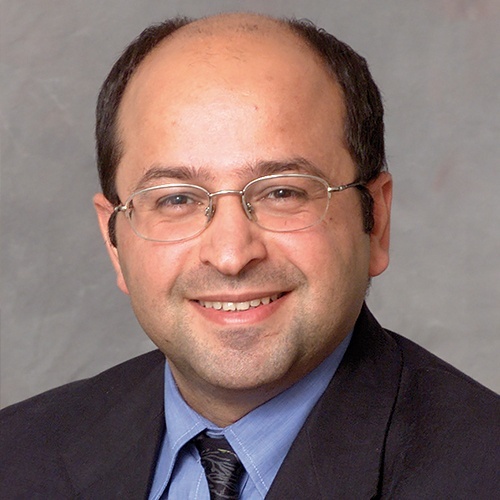 His research interests cover development of computational design methods based on 3D inverse design and automatic optimization to variety of turbomachinery applications (such as pumps, turbines, compressors and pumps). More recently he has focused on development of multi-disciplinary optimization methods that aim to improve both aerodynamic and structural performance of turbomachinery. He has published more than 120 papers in journals and refereed conferences and has been granted 7 international patents. Patrick Ninneman is the head of North American sales for ADT’s TURBOdesign Suite. Prior to joining TDT, Ninneman was Major Accounts Manager for Mentor Graphic’s Mechanical Analysis Division, focusing on 1D and 3D CFD analysis solutions. He also had successful sales careers at Petroliance, a large Exxon Mobil distributor, and Castrol Industrial. For the past six years, he has focused on growth in North American automotive, aerospace, as well as oil and gas markets for CFD solutions. Ninneman has a Bachelor of Arts degree in Government from the University of Notre Dame. He is a member of the Society of Automotive Engineers. PhD Mechanical Enginerring from UCL, Phd thesis is Design and Multidisciplinary optimisation of radial turbine for turbochargers. have been working in ADT for 4 years. Expertise are turbomachiner blade design, CFD/FEA simulation and CAD modelling.